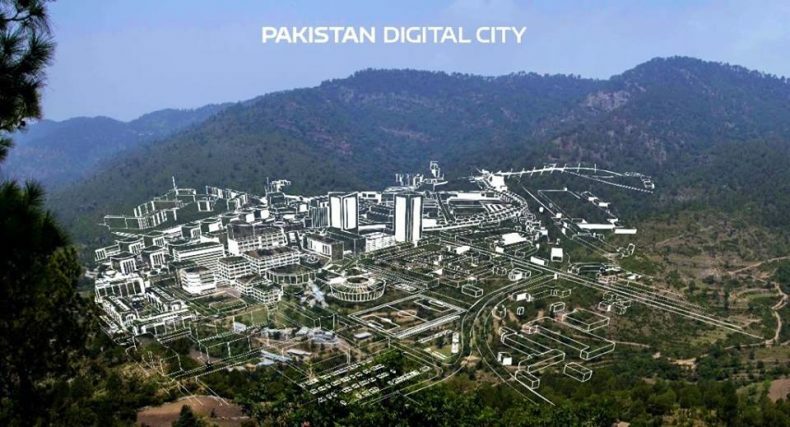 Khyber Pakhtunkhwa IT Board (KPITB) is inviting investors for Pakistan’s first Digital City, to be based out of Haripur, on the outskirts of capital’s Margalla Hills. The plans of Government of Khyber Pakhtunkhwa establishing Pakistan Digital City were announced in October by Special Assistant to Chief Minister KPK, Kamran Khan Bangash. The Haripur site has been selected for its close proximity to the capital city of Islamabad and its newly built airport. The scenic location will provide land with a rich infrastructure to a diverse range of businesses and technology firms on the leasing module. Potential investors can fill this form to share their requirements for Pakistan Digital City.